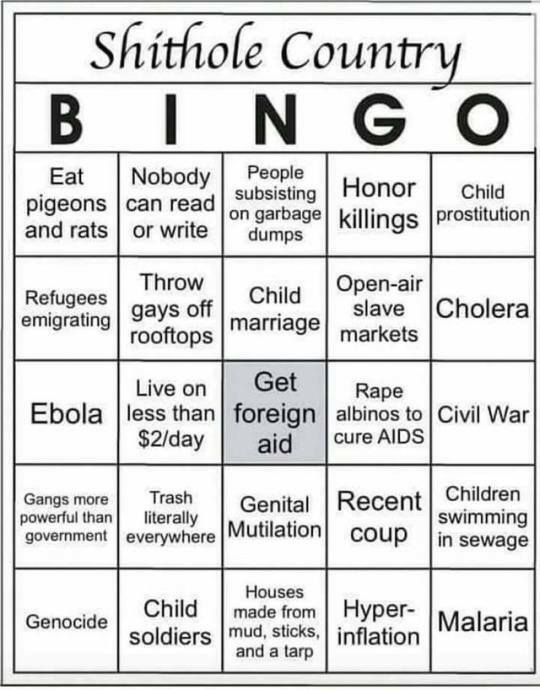 Hey, snowflakes, progressives, Commies, press-weenies, all...let's play "Shithole BINGO!" Can we not have a 'like' button Theo. There are so many cartoons, especially, that I would like to acknowledge their humorous view on the world?